UPDATE: The man behind the wheel of the SUV, William J Klein, has said that he was impaired by drugs while driving. Officials with the Washington State Patrol say that four teens were seriously injured in a pedestrian accident in Ferndale Wednesday afternoon. 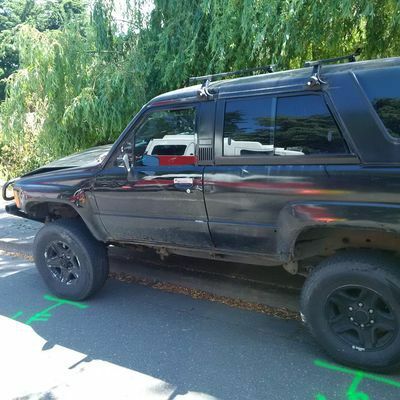 According to KOMO, the accident occurred at the intersection of West Smith Road and Graveline Road in Ferndale, near Windward High School, at approximately 1:40 p.m. Wednesday. A group of about 30 students in a physical education class were walking with a teacher along Smith Road when an SUV rode up onto the sidewalk and struck the four teens. Two male teens – an 18-year-old and 15-year-old – were pronounced dead at the scene, while the other two were rushed to St. Joseph’s Hospital with what are believed to be critical injuries. Hospital officials reportedly told KOMO that the two survivors are in critical condition. According to Trooper Mark Francis with the Washington State Patrol, the 34-year-old driver told investigators that he was driving home from work when the accident happened. He admitted to falling asleep behind the wheel, which is what presumably led his vehicle to jump up over the curb and onto the sidewalk. “This afternoon, at approximately 1:40 p.m., there was a fatality accident near Windward High School. All school district resources have been dispatched to Windward. The scene is being controlled and investigated by law enforcement. Law enforcement has indicated that two students died at the scene. No names have been released. Ferndale Schools is keeping all Windward students at Windward High School. Ferndale School District will transport students home later on an additional bus run. It is extremely important that victims of serious accidents and/or their family members seek assistance with the investigation into this tragic collision, as the serious and potentially life-threatening injuries that result from these types of accidents can be life-altering and require a significant level of medical care. Since most personal injury attorneys provide free consultations to accident victims, it is typically in the best interests of victims and their loved ones to speak with a lawyer about their legal options moving forward. Davis Law Group has handled a variety of car accident cases involving drowsy and distracted drivers. To learn more about the results we achieve for our clients, please visit the Case Results section of our website. $4 Million Settlement for Family of Woman Killed in Drowsy Driving CrashDavis Law Group case result: A contracting employee fell asleep behind the wheel & crashed into our client, Sandra Johnson. We negotiated a $4 million settlement to give her surviving children assistance they need for the rest of their lives.